Home / Wayne Adkisson, M.D. Dr. Adkisson was born in Brewton, AL. He received his Bachelor of Science Degree from Samford University School of Pharmacy in Birmingham, and his Medical Degree from the University of Alabama School of Medicine, where he also completed his residency. His internship was completed at the University of California in San Diego and his fellowship in Gastroenterology was completed at the University of California in San Francisco. 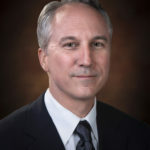 A Diplomate of the American Board of Internal Medicine in Internal Medicine and Gastroenterology, Dr. Adkisson has been in private practice in Pensacola since August 2001. Gastroenterology Associates of Pensacola is a ten physician office practice with eight office locations in Florida and two locations in Alabama.